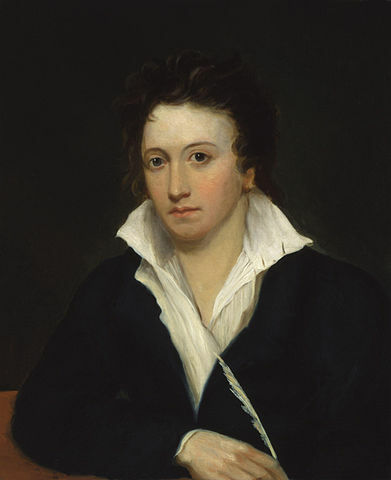 Percy Bysshe Shelley (1792-1822) was one of the major romantic poets in England, considered a radical in his poetry, politics, and social views. Works often studied include his lyric narrative poem Ozymandias (1818) and Ode to the West Wind (1819), which features an artful rhyme-scheme known as "terza rima." Shelley wrote an innovative verse drama, Cenci (1819), and long, visionary poems, including his masterwork Hellas: A Lyrical Drama (1821). Tragically, he died at the age of 29, when his boat went down during a storm in the Gulf of Spezia. You might enjoy Edna St. Vincent Millay's tribute poem, To a Poet That Died Young.